Home / Unlabelled / School Learner: What is a Computer? A computer is a combination of hardware accessories and software applications, we can also called as programmable machine. For Example: Human(computer) is combination of human skeleton(hardware) and muscles(software). 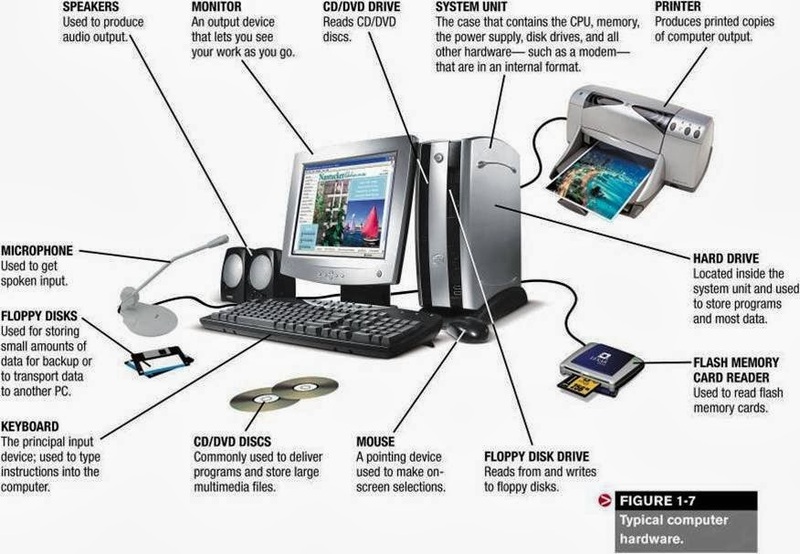 Modern computers are electronic and digital. The actual machinery - wires, transistors, and circuits - is called hardware; the instructions and data are called software. 1. It responds to a specific set of instructions in a well-defined manner. 2. It can execute a prerecorded list of instructions (a program). 1. RAM (Random Access memory): Computer use RAM to store data and programs temporary. For Example: human little brain. 2. Mass storage device: Allows a computer to permanently store large amounts of data. Common mass storage devices include disk drives and tape drives. For Example: human main brain. 3. Input Device: usually a keyboard and mouse, the input device is the conduit through which data and instructions enter a computer. 4. Output Device: a display screen, printer, or other device that lets you see what the computer has accomplished. For Example: human face, hair, nails, height. 5. Central Processing Unit (CPU): the heart of the computer, this is the component that actually executes instructions. 6. Operating System (OS): An operating system (OS) is a collection of software that manages computer hardware resources and provides common services for computer programs. 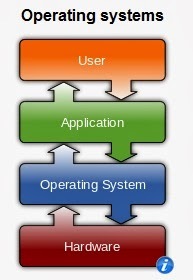 The operating system is an essential component of the system software in a computer system. Application programs usually require an operating system to function. For Example: human main brain which operate the human body. Examples of popular modern operating systems include Android, BSD, iOS, GNU/Linux, OS X, QNX, Microsoft Windows, Windows Phone, and IBM z/OS. All these, except Windows and z/OS, share roots in UNIX. Charles Babbage is considered to be the father of computing after his invention and concept of the Analytical Engine in 1837.